Brothers and sisters, I do not consider myself yet to have taken hold of it. But one thing I do: Forgetting what is behind and straining toward what is ahead. 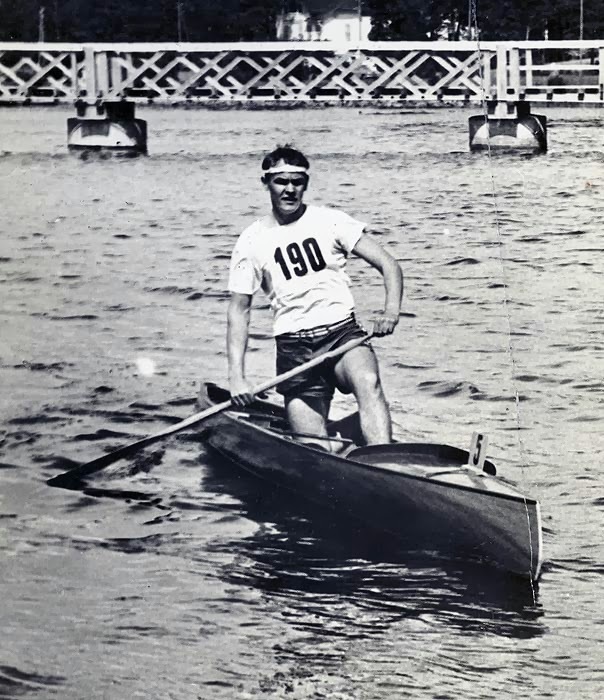 At the 1924 Olympic Games in Paris, the sport of canoe racing was added to the list of international competitions. The favorite team in the four-man canoe race was the United States team. One member of that team was a young man by the name of Bill Havens. As the time for the Olympics neared, it became clear that Bill's wife would give birth to their first child about the time that the US team would be competing in the Paris games. In 1924 there were no jet airliners from Paris to the United States, only slow ocean-going ships. And so Bill found himself in a dilemma. Should he go to Paris and risk not being at his wife's side when their baby was born? Or should he withdraw from the team and remain with his family? Bill's wife insisted that he go to Paris. After all, competing in the Olympics was the culmination of a life-long dream. But Bill felt conflicted and, after much soul-searching, decided to withdraw from the competition and remain home where he could support his wife when the child arrived. He considered being at her side his highest priority - even higher than going to Paris to fulfill his dream. As it turned out, the United States four-man canoe team won the gold medal in Paris. And Bill's wife was late in giving birth to their child. She was so late, in fact, that Bill could have competed in the event and returned home in time to be with her when she gave birth. People said, "What a shame." But Bill said he had no regrets. For the rest of his life, he believed he had made the better decision. Bill Havens knew what was most important to him. Not everybody figures that out. And he acted on what he believed was best. Not everybody has the strength of character to say no to something he or she truly wants in order to say yes to something that truly matters. But for Bill, it was the only way to peace; the only way to no regrets. There is an interesting sequel to the story of Bill Havens.. The child eventually born to Bill and his wife was a boy, whom they named Frank. Twenty-eight years later, in 1952, Bill received a cablegram from Frank. It was sent from Helsinki, Finland, where the 1952 Olympics were being held. The cablegram read: "Dad, I won. I'm bringing home the gold medal you lost while waiting for me to be born." 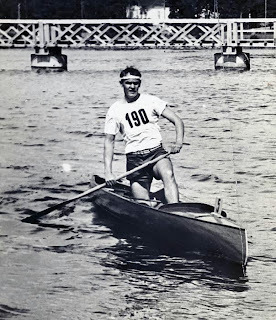 Frank Havens had just won the gold medal for the United States in the canoe-racing event, a medal his father had dreamed of winning but never did. Like I said - no regrets. Dear Lord, we pray for wisdom to make the right decision so that we will not have any regrets. We thank You that You are in control of everything and all we need to do is seek You for the things to do. In Jesus’ Name, Amen.